Chimneys are an important feature of a home, and having a blocked chimney flue liner can result in many issues. The purpose of a chimney is to maintain a fire and act as a way to get dangerous byproducts like creosote out of your home’s living spaces. Creosote is a dark brown oil that’s a derived from the burning of wood and it’s an extremely flammable substance. If your chimney is blocked, you don’t want to risk a chimney fire with the potential presence of creosote. 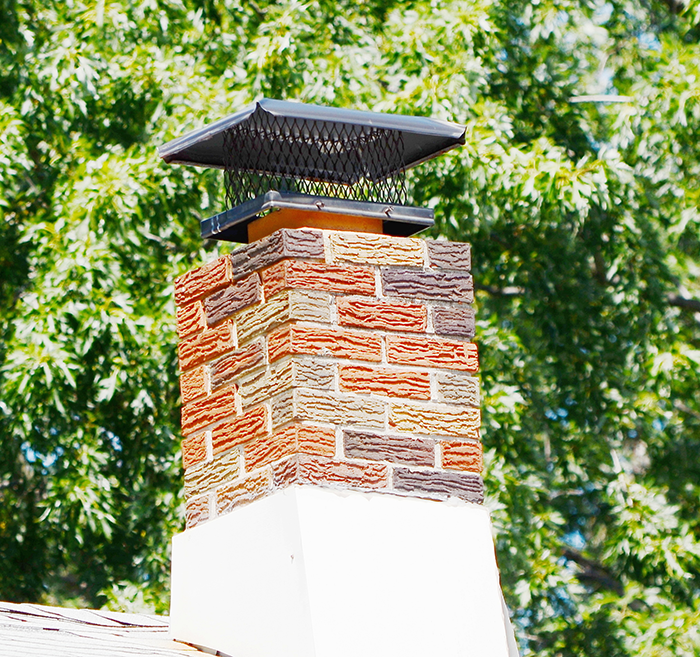 A blocked chimney can lead to a host of potential hazards. Chimney fires can be dangerous and cause costly problems and repairs that require further fixing. It’s important to regularly inspect your chimney to make sure there is no blockage in the flue liner, and if there is, you can take the proper steps to unblock it. What is a Flue Liner? A flue liner protects your home against potential fires by regulating heat transfer. Chimneys without liners move heat so quickly through the chimney that combustibles, like nearby woodwork, caught fire in less than 4 hours. Without the use of a flue liner, the lifetime of the surrounding chimney masonry greatly deteriorates. 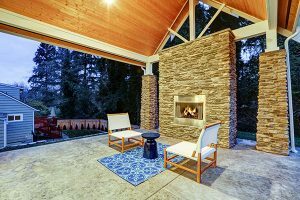 The acidic gases that a burning fire produces will degenerate mortar joints. The mortar joints aids in the prevention of the fire from catching on other burnable parts surrounding the chimney. Flue liners are can consist of clay, ceramic, or metal. Each material provides different levels of efficiency, absorption rates, and heat distribution. 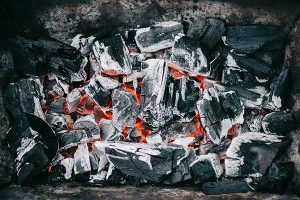 Any of these materials used for a flue liner will help transfer dangerous combustibles from the home to the outside, ensuring that the chimney system works to its fullest capability. While flue liners do their job in protecting the chimney and its masonry, it’s important to occasionally use a flashlight and take a look to make sure they are not blocked. You want your flue liner to perform all of its functions correctly in order to keep out toxic fumes from the inside of your home. What Causes a Blocked Flue Liner? Animals are often the main culprits behind a blocked flue liner. Small animals like squirrels and birds bring nesting materials inside the chimney that can block the flue liner passage. If you don’t regularly check your chimney or schedule annual chimney inspections, animals could be finding a way through the cap of the chimney. If you have large trees above your home, their debris like leaves, twigs and small branches or seeds can fall into the chimney and cause a blockage. Another cause is the buildup of creosote and as mentioned previously, this can be particularly hazardous. While creosote is a naturally produced by a burning fire, it can accumulate in the flue liner and cause a blockage. You need to have your chimney cleaned to remove the creosote. There are signs that you need to be on the lookout for in case you may have a blocked flue liner. Being responsive to these symptoms can prevent costly damages and help prevent the potential of a fire breaking out in your home. A blocked chimney can lead to a dangerous chimney fire. Sometimes chimney fires make loud echoing noises, while other times, the only sign of them are the flames erupting from the top of the chimney. Having a blockage in the chimney’s flue liner can also cause carbon monoxide poisoning. The presence of carbon monoxide in a home can be fatal to humans and pets. While you can unblock your flue liner by yourself, hiring a professional is not a bad idea. You can unblock your flue liner as a do-it-yourself project in just a few hours, but just make sure you have the right tools and know-how to do so. 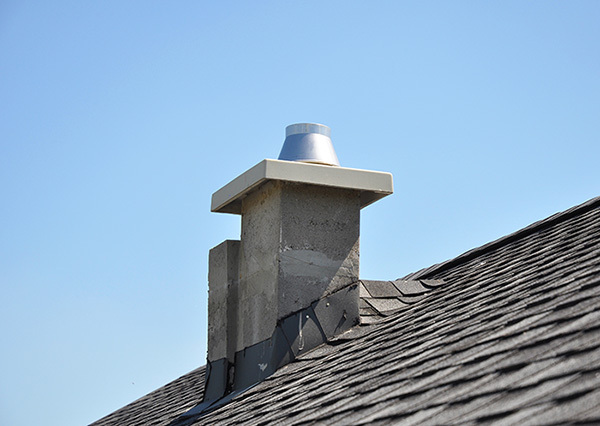 Place your ladder against the side of your house and safely climb onto the roof to reach the chimney cap. It is imperative that you do this carefully and test that the ladder is stable against the ground. It is also recommended that for this part of unblocking your flue liner, you have a friend or family member spot you while you’re climbing the ladder and onto the roof. While wearing your protective eye wear, gloves and mask, take off the chimney cap. The cap should pull right off with a little applied force. Clean the chimney cap with a scrubbing brush to remove any debris. Proceed to inspect the inside of the chimney with a flashlight. Use your brush to clean out the top portion of the chimney, either by pushing or pulling out the debris. When finished, put the chimney cap back on. After climbing back down the ladder and off of the roof, it’s time to do the same cleaning process, only from the bottom of the chimney. To do this, you’ll need to go back inside. There is a potential for this step to get messy, so you will want to put as many covers and drop cloths down in the room. Soot is difficult to contain, so make sure you have a vacuum nearby to contain the debris. Use your flashlight to determine where the debris and blockage is located in the flue liner. Using your wire brush, clean out the chimney until it appears clear of any blockage. 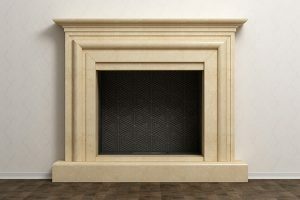 Any debris will fall to the floor of the fireplace; clean these up when you’re finished. 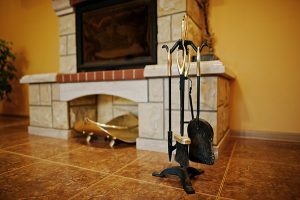 If you still see the symptoms of a blocked flue liner when burning a fire, you may want to turn to a certified chimney sweep for assistance. For blocked flue liners, you’ll know when it’s time to hire a professional chimney cleaner. If you’re still having issues with your chimney functionality after you cleaned it yourself, then you may require professional assistance. Professional chimney companies use tools specifically designed to unblock chimneys and flue liners, so if your wire brush did not adequately unblock the chimney, chances are the professionals will have a more effective tool. You can prevent blockages in your flue liner by regularly scheduling chimney inspections and cleanings. You can feel better about avoiding devastating hazards when you hire a professional and certified company to thoroughly clean your chimney once a year. Get a free quote today.